[Satnews] Globalstar Europe Satellite Services Ltd., a wholly owned subsidiary of Globalstar Inc. (NYSE MKT: GSAT) has revealed that their SPOT Gen3 safety device will be integral to the safety and security of 1,250 athletes competing in the MARATHON DES SABLES 2016 (MDS), the world’s most extreme running race taking place April 8 to 18, 2016, in Morocco. Each of the participants will run with a SPOT Gen3 mounted on his/her backpack, allowing race organizers, emergency support teams, sponsors, family and friends to precisely track each runner’s location online. During the race in 2015, the first year SPOT Gen3 was used to protect all 1,330 runners as part of a three-year agreement, the MDS team was able to precisely locate 18 competitors in distress and quickly dispatch rescue personnel. Similar to last year, all race marshals will carry the small, rugged devices, and they will also be outfitted on security vehicles, medical vehicles and helicopters. Should the unexpected occur for a competitor, he/she can simply press the device’s SOS button and location data is rapidly transmitted from the SPOT device to the organizing team, making it easy to dispatch a nearby responder and dispatch the necessary support within minutes. 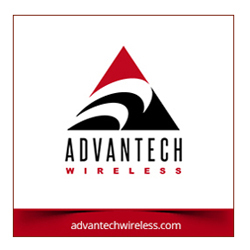 Customized tracking software including an intuitive user interface is provided by athletic gear and tracking specialist WAA Tracking, Globalstar’s partner based in France. Thanks to this interface, sponsors, friends and family of MDS participants can search for and locate the positions of individuals and teams. Last year, one Japanese competitor digressed from the normal route and WAA’s geo-fencing software ‘MDS_PC Course’ raised an alarm that alerted race headquarters instantly. The participant was moving away from the official route in an area that was particularly difficult to access, even for the team’s experienced 4x4 drivers, so one of the race organizer’s two helicopters landed close by. The doctor on board checked the athlete’s health and declared him able to continue the race. The crew advised the athlete how to get back on course since any competitor who is transported is automatically disqualified. “With sand in their eyes and no other athletes nearby, competitors can easily miss the markers and stray off course,” said Patrick Bauer, CEO of the MARATHON DES SABLES. 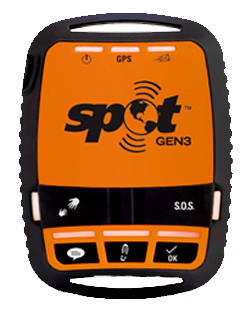 “Thanks to SPOT Gen3, we can ensure more athletes complete the race by quickly spotting anyone wandering off route as well as getting immediate assistance to anyone who presses the SOS button."